Smart Cville is pleased to announce the release of the Virginia School Discipline Project, an online tool aimed at helping families navigate complex procedures and know their rights when their students are disciplined in Virginia public schools. Recent data shows that more than 10% of Virginia students are suspended each year, with suspensions disproportionately falling on students of color and students with disabilities. After reading these troubling statistics and hearing stories from community members who felt overwhelmed when their students were suspended, Smart Cville volunteers and project team leaders Amanda Ames and Kumar Narasimhan began looking at ways to better provide access to information about the discipline process in Virginia public schools. “We found that schools’ discipline policies are oftentimes difficult to find online and even more difficult to navigate. We wanted to help arm families with more information about the discipline processes and the related law so that they felt better equipped advocate on behalf of their students,” said Ames, a Charlottesville attorney at Womble Bond Dickinson (US) LLP. Aided in large part by the legal expertise of the Legal Aid Justice Center (LAJC) and a grant from the Bama Works Fund, Ames and Narasimhan began a civic technology project to develop an online tool aimed at providing better access to information about school discipline policies. “I am very happy to volunteer with this collaborative effort between Smart Cville and LAJC to create a portal providing school policies and legal resources to benefit schools, students, and families,” said Narasimhan, who formerly worked in IT enterprise application development for Fortune 500 companies. For users left with more questions, or those who need help finding school-specific policies and codes of conduct, the tool helps direct students to resources and policies in their area. While the local resources contained on the site are currently focused on six central Virginia school districts–Charlottesville, Albemarle, Fluvanna, Greene, Louisa, and Nelson Counties–the interactive Q&A tool explains Virginia law and can be used by students and families throughout the Commonwealth. Narasimhan and Ames hope that local resources and policies can soon be added for school districts throughout the Commonwealth. The Virginia School Discipline Project is the first product of a Smart Cville Project Team. Project Teams are a way for civic innovators to get institutional support for their projects or find projects to join. “Our biggest hope with project teams is to provide an additional layer of support and energy behind citizen-driven civic technology. So often, these projects lose momentum as volunteers fade, and we want to find ways to help amplify the amazing work being done by civic innovators,” said Lucas Ames, Founder of Smart Cville. 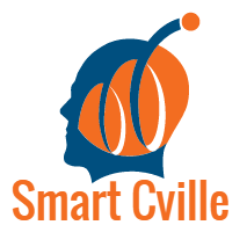 Smart Cville is a 501(c)(3)-designated, non-profit organization. It promotes the use of technology and data to help communities find innovative solutions by facilitating the exchange of ideas between civic institutions and citizens. Learn more at https://www.smartcville.com. This entry was posted in Education and tagged civic innovation, education, equity. Bookmark the permalink.